This week's Oscar hopeful garned five nominations, including Best Picture. The story is based on the economic meltdown in 2008, when four outsiders saw what the big banks, media and government refused to: the coming global collapse of the economy. 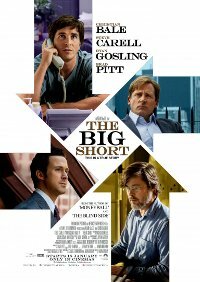 This gave them an idea: The Big Short. Their bold investment leads them into the dark underbelly of modern banking where they must question everyone and everything. It IS your turn to pick up the tab!